Muhammad Ali is remembered as one of the greatest boxers of all time. 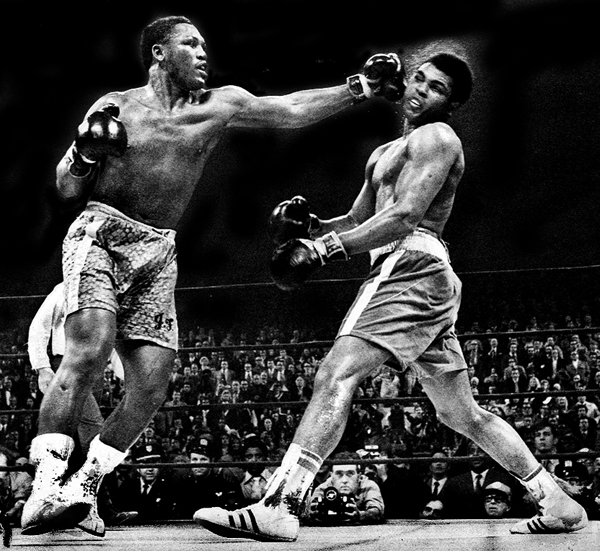 His physical strength and abilities, his agile footwork in the ring, and his witty and intelligent – and sometimes boastful – running commentaries about himself and his opponents made Ali compelling and appealing to a much wider segment of the population than just those who liked to watch boxing. But as Ishmael Reed so poignantly points out in his New York Times article about Ali, none of this came without a cost. A very high cost. An eventually fatal cost. Ali’s boxing career spanned 21 years (1960-1981) and with every punch to the face that he took in those 21 years, his brain took the bigger hit. Like all boxers who take blow after blow to the head, Ali suffered from traumatic brain injuries (TBI) and chronic traumatic encephalopathy (CTE). By 1981, at the age of 39, Ali’s body and brain could take no more. Ali had already begun developing the outward signs of neurological damage including the tremors, balance problems, and speech impairment associated with Parkinson’s Disease when he officially retired from boxing. He declined slowly, but steadily, over the next 35 years, as the full effects of Parkinson’s Disease set in, dementia developed, and his voice was silenced. Ali was hospitalized in the first week of June 2016 with a respiratory infection. Most likely, he had either aspirated food into his lungs or fluid accumulated in the lungs causing pneumonia (this is common in people with dementia). Muhammad Ali died on June 3, 2016. The official cause of Ali’s death was sepsis (an often-fatal condition that occurs when the body responds to an infection by injuring its own tissues and organs), but the reality is that Ali, via neurological damage and dementia, had been dying in slow motion for the better part of the last half of his life. As tragic as the ending of his story is, the hope is that a new day with a new dawn awaits Muhammad Ali in the future.